Fight the cold with conviction in this snuggly knit. 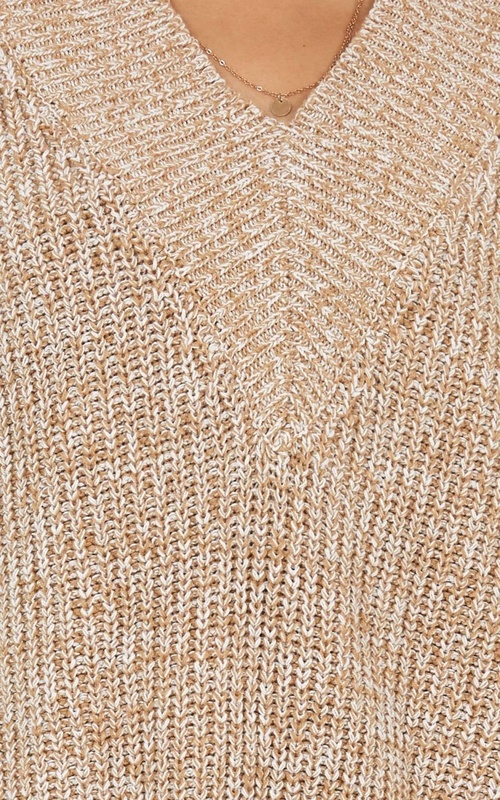 The marled textured fabric, v-neck and side slits make this your must have winter knit. This effortless piece can be dressed up or down. Switch jeans out for denim cutoffs and boots and you'll have the perfect transeasonal look! Filter By Height: Show All 4'10" 5'0" 5'2" 5'3" 5'5" 5'6" 5'7"
There is a tiny loop in the jacket which arrived that way, will need to fix it myself. Its fitted, expected it to be a little more oversized but still a nice fit. Lovely colour and shape. 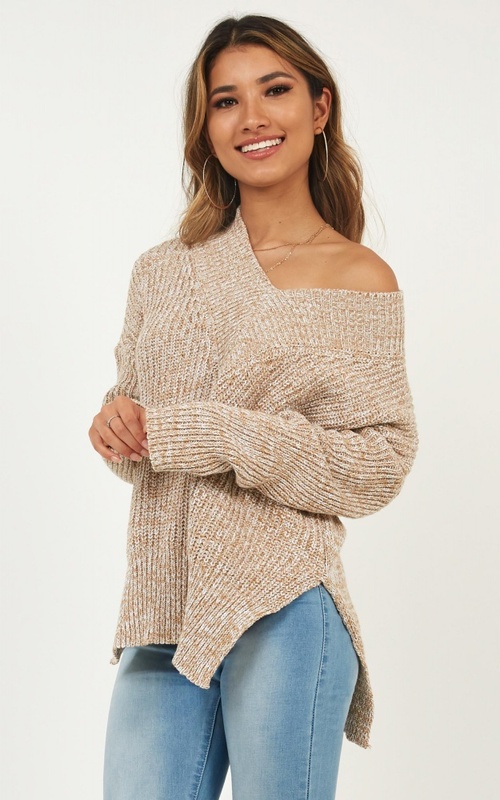 I love off the shoulder sweaters and I had a store credit I needed to use and when I saw this sweater I knew I needed it. The fit looks NOTHING like the picture. I bought a size up so it could be oversized and that didn’t help. The neck hole is way too small to be worn as shown and I wouldn’t be surprised if the back was altered to achieve this look. I’m not even going to bother exchanging because I have to pay to ship it back and I’m just tired of dealing with the exchange policy since I’m already out money with my original return. I wanted to love this sweater but its true, it does not hang off the way the picture shows and be aware of the very thick V pattern in the front. It looks so bad on me :( lol the model HAS to be wearing a large or extra large. You absolutely can NOT get this sweater to hang off your shoulder like the picture shows. They must’ve ripped it to do that because there’s no way. It hangs off of me like a potato sack and isn’t flattering. Returning immediately.